Sunburn Festival, India’s biggest annual EDM Festival, draws more than 350,000 people and a stellar collection of artists every year. International Music Summit APAC ranks the Indian powerhouse as the third largest dance festival in the world, coming in close after Tomorrowland and Ultra. Beginning in 2007 with Nikhil Chinapa and Percept Entertainment at the helm, Sunburn fans around the world eagerly await lineup announcements and ticket details well in advance. From its inception at Candolim Beach to later editions at Vagator Beach, Sunburn now lights up the heart of Pune at The Oxford Golf Resort located on the Mumbai-Bangalore highway. 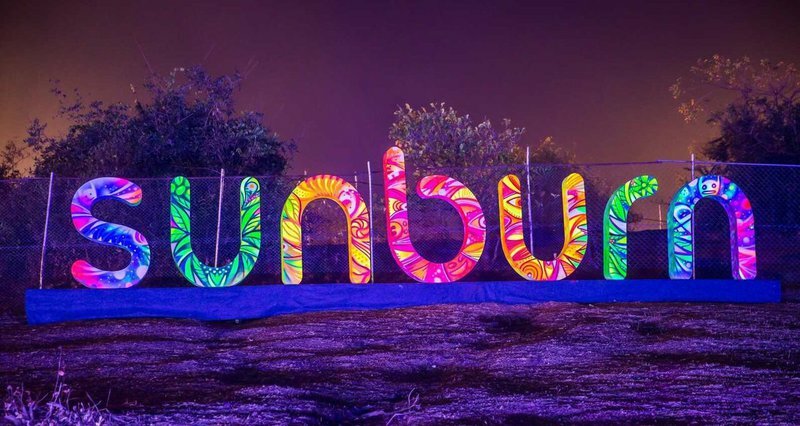 Sunburn Festival is all about unlimited fun, culinary festivities, and keeping the spirit of India’s first and largest EDM festival alive and well. DJs from across the world rock the stage and represent a vast spectrum of electronic music genres and subgenres from Trance, House, Techno, Drum & Bass, Psy-trance, and nearly anything else you can think of. Sunburn CEO, Karan Singh, was quoted: "We are leaving no stones unturned in ensuring we deliver a grandeur and a bolder 12th Sunburn Festival edition including one of the best artist line-ups. We will ensure the implementations of the highest safety measures for a secure and risk-free environment." There is so much grandeur to simply call it a music festival wouldn’t do it justice. For Sunburn veterans or virgins alike, Pune is the place to be for NYE 2018!